April 23, 2013 by Ken Ward Jr. 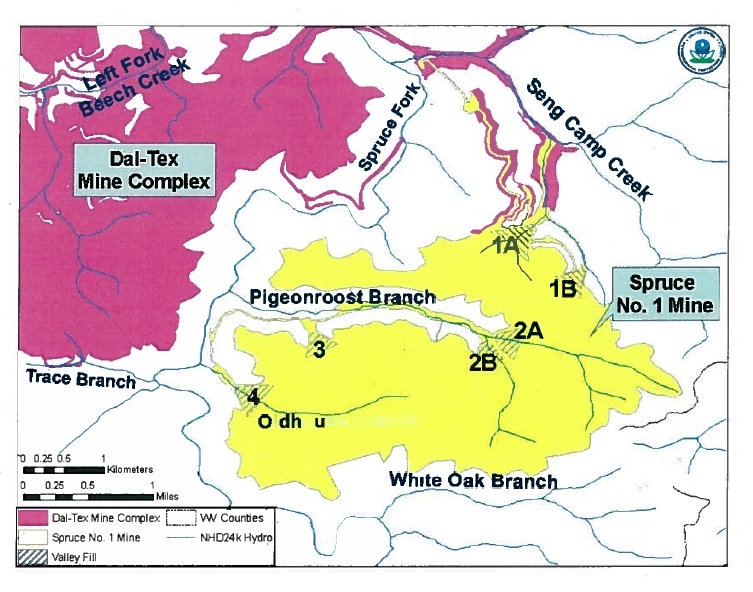 This just in: The U.S. Court of Appeals for the District of Columbia has reversed a lower court ruling that overturned EPA’s veto of the Spruce Mine mountaintop removal permit in Logan County, W.Va.
I’ve posted a copy of the ruling here, and we’ve posted a news story on the Gazette’s website here. … The Congress made plain its intent to grant the Administrator authority to prohibit/deny/restrict/withdraw a specification at any time … Thus, the unambiguous language of subsection 404(c) manifests the Congress’s intent to confer on EPA a broad veto power extending beyond the permit issuance. A federal appeals court has concluded that the U.S. Environmental Protection clearly acted within its legal authority when it rejected a permit for one of the largest mountaintop removal mines in West Virginia history. The U.S. Court of Appeals for the District of Columbia on Tuesday reversed a lower court ruling that had thrown out EPA’s veto of the Clean Water Act permit for Arch Coal Inc.’s Spruce Mine in Logan County. Writing for a unanimous three-judge panel, Judge Karen LeCraft Henderson said that federal law gives EPA authority to veto permits that agency officials believe the U.S. Army Corps of Engineers was wrong to issue.